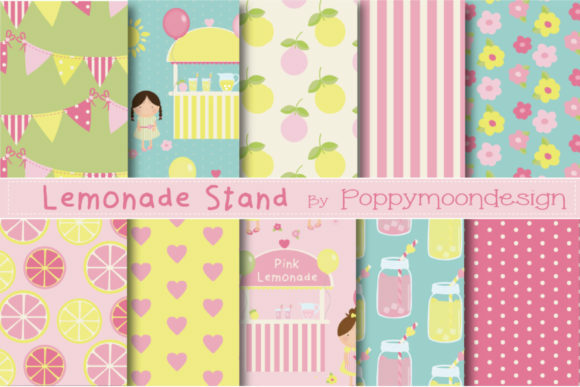 A super cute lemonade stand pattern paper set, created using a fresh color palette. Patterns include lemonade stands and girls, lemons, hearts, stripes balloons and more. This pack includes 10 lemonade stand themed papers. 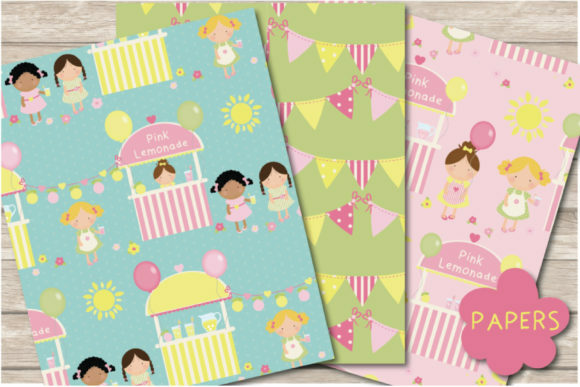 Perfect for lemonade themed crafts, greeting cards and stationary, party invites and scrapbooking. Papers sheet size 12″ x 12″ File format JPG and PNG.